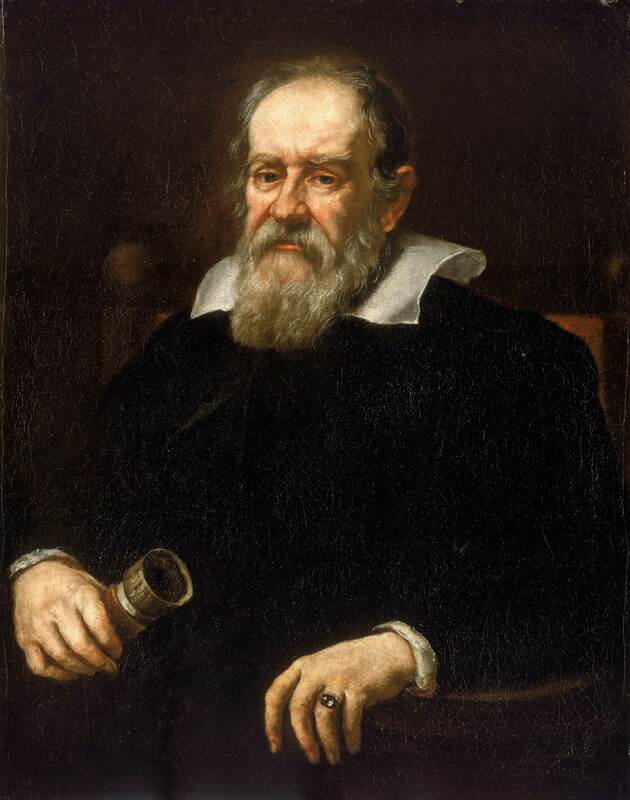 Most people pick Galileo Galilei as the inventor of Science. Most people are wrong. In your face Galileo. The oldest human civilization, Sumeria, had explanations for how the world worked. The wind blew because the God Enlil commanded it. His reasons were his own and it was not for humans to fathom. This type of thinking wasn’t rare in the ancient world. Things happened because a mystical being made it so and that's all there was to it. Don't ask questions, just shut up and eat your rocks (or whatever they ate back then, I'm not a historian). Nowadays this style of thinking seems alien to us. We’ve grown up in a world where Science is common and we’re encouraged to look for cause and effect rather than “a spirit did it, stop asking”. The wind blows because of temperature changes in the air. These changes are caused by sunlight, which is caused by nuclear fusion and so on. We can link events together through causal chains and rarely have to say “don’t ask” unless we're dealing with something which simply cannot be explained. Now, to be absolutely clear, once we get to the beginning of the Universe all bets are off and “the God Marduk did it” might be the best explanation. But within the Universe itself we make the assumption that things are obeying cause-effect relationships which are always true. These relationships (the laws of nature) are unchanging and can’t be altered by the actions of either us or some spirit. This is an amazing idea. We, as a species, no longer have to accept the world as it is; rather we have the capacity to understand what’s going on. Not only this, we can make predictions about what will happen in the world and even influence it, creating new things based on what we’ve learned. He’s right. It’s human nature to ask why things happen and yes, we've always been gathering knowledge about the world. The only difference is that for tens of thousands of years we made no progress because most of the explanations were the same "a spirit did it". In the last few centuries however, we’ve started to get things right. Science as a body of knowledge has always been around, but Science as a way of thinking is a recent invention. ​ Historians will disagree on who played the most important part in inventing the Scientific method but here, for what it’s worth, are my three picks. Thales (pronounced Thay-leez) lived in Miletus between 620 and 546 BC. None of his books have survived and we only know his story from people who came much later. He has sometimes been called the father of Science and there’s a good reason for this, he was the first person (we know of) to do two very important things. Thales suggested that everything in the world was made from water. It sounds silly but his reasoning was pretty sound. He noticed that everything changes over time, people age and die, weather patterns cycle and mountains are gradually eroded. Thales argued that everything was in a constant state of change and the only thing he knew which had so many forms was water. Liquid water can be colourless, blue, green, grey, it can be turbulent and frothy, it can be still, it can fall as rain, hang in the sky as mist and cling to the ground as dew. Water can be boiled into steam, frozen into snow, ice, hail etc. so Thales reasoned that every type of matter was just a different form of water. Of course we soon learned that wasn't true and that's the important bit. Thales' explanation was wrong, and that's the absolute point. He was the first person in history to put forward a falsifiable hypothesis: a claim you could actually test. Any claim about the world involving an invisible spirit is immediately impossible to check. It might be correct but you can’t know with confidence. Thales’ water idea however, is something you can go out and investigate. He explained a natural phenomenon in terms of other natural phenomena. I think it's quite a sobering realisation that the first Scientific hypothesis turned out to be incorrect. Thales invented the idea of being wrong about the world, which is crucial. Before him the world was anybody's guess and nobody could ever be proven wrong. But if you can never be proven wrong, you can never be proven right. The other important contribution of Thales was to make the first Scientific prediction and this time he was bang on. Lots of mystics and priests made predictions in those days - all of them generic or hardly surprising. Thales however, predicted the 585 BC solar eclipse to an exact date, precision no mystic had ever achieved (or has ever been able to match). He couldn’t explain why it was right but he showed that natural phenomena could be predicted which meant they were following laws, not the whims of Gods. The eclipse is going to happen whether you sacrifice an animal to Azazel or not. This changed everything because it showed that nature is not some un-knowable force we have to accept, it follows rules and we can learn them. About a hundred years after Thales, Socrates kicked off what has now become Western Philosophy, or at least, he might have done. We don’t know much about Socrates because he never wrote any books. He was a talker and debater, so everything he said survives in written accounts, mostly from his favourite student (and possibly lover) Plato. Nobody’s sure how much of Plato’s books are faithful transcriptions of Socrates, or just Plato writing his own views into Socrates’ mouth. It’s largely accepted that the truth is probably somewhere in between: Plato was writing fictionalised and adapted accounts of other people's ideas. ​ Because Plato always spoke through Socrates and Socrates’ knowledge was passed on through Plato, the two people end up blurring into one historical figure…Platocrates!! !...who invented the concept of reasoning chains i.e. if A causes B and B causes C, we can say that A is causing C.
Unfortunately, Platocrates was in some ways a terrible human being who endorsed slavery, brain-washing and treating women as objects, so a lot of people want to distance themselves from him. Furthermore, Platrocrates tended to sneer at Science, considering it inferior to philosophy, politics and metaphysics, but what he did introduce to human thinking was so important we couldn’t have achieved Science without it. Platocrates came up with the notion that if you want to find out the truth, you have to admit your own ignorance and start asking questions. Most of Plato’s books begin with someone making a claim i.e. “Democracy is a good idea” and Socrates questioning all their assumptions until he had shown the flaws in what the person had said. Socrates was probably a bit of a pain to be honest. But this idea of investigating a claim with zero assumptions, asking questions and following the answers gave us a framework for Scientific thinking. Discovering truth should be a constantly updating cycle where anything can be attacked and every assumption must be defended. It’s not easy, but it does yield results. Socrates applied this technique (now called the Socratic method) to philosophical questions only, but if he had applied it to claims about the natural world he would have invented Science almost single-handedly. As it happened, he never did. That took another 1300 years. I’m about to condense a huge amount of complex political and religious history into one sentence that ignores a lot subtleties and nuances, but here goes: as the Holy Roman Empire took hold of Western Europe, Scientific thinking was quashed and had to be preserved in the Arabic world. There you go. Take that well researched and argued history! The controversial ideas of Socrates and Thales should have caused a revolution but they didn’t go over well with the Catholic church and instead we had the Dark Ages. Many works of great philosophers were destroyed (even though much of the New Testament is based on the philosophy of Plato) and libraries were burned to the ground. The main reason they survived, the main reason we’ve even heard of people like Socrates, Plato etc. is because the Arabic world was far more tolerant of ideas. In places like 10th Century Baghdad, Muslim, Jewish and Christian scholars could meet in peace and discuss ideas openly. Sure, it wasn’t perfect and idea-suppression still happened (it wasn’t a utopia) but it was a far more open-minded culture than the West had at the time. Al-Hasan lived in Egypt under the Fatimid Caliphate and, while studying the great thinkers of the classical world, he invented a key ingredient which made Science what it is today: collecting evidence. Before al-Hasan, all reasoning was done a priori: You start with your question, discuss it, analyse it and come up with an answer without leaving the room. It was assumed that humans were special in some way and that “pure thinking” gave the best results. Actually going outside and checking was seen to be dirtying the idea. ​ The problem is that if you start by assuming “my way of thinking is good” you end up in a circle, because that very idea is assumed to be right. You never think to question the a priori method, so you don’t even realise how dangerous a path you’re on. Al-Hasan realised that our senses could be deceived and human thinking wasn’t perfect. If you really wanted to find out what the world was like you had to get out and question it. A hypothesis needs to be checked with physical experiment or data gathering, not just defended with a clever line of reasoning. It’s a shame so many people seem to miss this fundamental point of understanding the world. They’re stuck in the Socratic method of “if I give a good enough argument, I can prove my idea is correct”. Al-Hasan made an important leap and said that a good argument was never as good as evidence. A hypothesis had to work outside of your personal beliefs. It had to give results that were immune to clever arguments and a priori logic. Al-Hasan wrote famously “If learning the truth is the scientist’s goal…then he must make himself the enemy of all that he reads”. By this, he meant that to discover the truth you couldn’t just take someone else’s word for it. Even if the book was written by a great thinker like Aristotle or Plato, you had to run experiments and collect your own evidence. Al-Hasan was also a passionate Muslim who wrote guidelines for distinguishing genuine prophets from false ones. His view was that no book was above question and no prophet above interrogation. You could still come to the conlcusion that prophets and holy books were trustworthy, but only by first checking them. Today, the Royal Society in London (one of the oldest and most revered Scientific institutions in the world) uses the motto Nullius in Verba which means “Take nobody’s word for it.” The spirit of Al-Hasan lives on. Johannes Kepler took carefully measured data of the planets’ movements and concluded they were moving in ellipses, not the perfect circles Plato had assumed. Galileo investigated the stars by building a telescope and observing them. He discovered that not everything orbited the Earth and challenged the Roman Catholic interpretation of the book of Joshua (which landed him under house arrest). Charles Darwin, who believed all creatures were formed perfectly, changed his mind when he began investigating the way animals adapted and committed himself to a new and controversial view point. The point is that his beliefs didn’t fit the facts, so he changed his beliefs. These great Scientists, and many more, have used the ideas of Thales, Socrates and Al-Hasan to discover the world as it actually is. Question your assumptions, make testable claims, use them to make predictions, carry out investigations, ignore your personal beliefs and follow the chain of logic wherever it leads. The Scientific method is, as far as I’m aware, the best way of discovering truth we have ever invented. To let go of your opinions, desires and accepted wisdom is difficult. To commit yourself to only believing things when there is evidence and data is sometimes uncomfortable, even frightening. But this way of thinking, more than anything else, brought us out of ignorance and keeps us searching for knowledge.